Picture this: It’s a warm, sunny day out and you have a beer in hand. Which beer could fit that bill, you might ask? Well, that’s an easy answer if you’re a fan of something slightly tart, yet fruity. 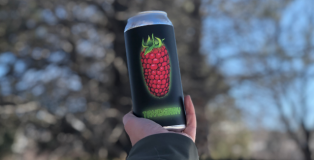 Alvarado Street Brewery‘s Tayberry is the beer you’ll want in your hand. It’s the perfect pairing for spring weather, or, as we like to call it, porch drinking weather. My wife and I recently reached our milestone of traveling to all 50 states, ensuring we visit the local brewery in each of the places that we visit. While I am an avid meat eater, my wife is vegetarian. So, the places we choose to eat during our travels had to be well researched in advance to ensure they have a vegetarian menu that met the expectations of my wife, who can be quite a picky eater. Luckily, nowadays, that isn’t hard. Many breweries and brewpubs offer at least one vegetarian option on their menu, to various degrees of success and creativity. 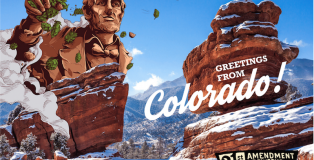 No matter where you live in the nation, you’re always itching to get your hands on the exclusive beers you can’t get through your local distribution. 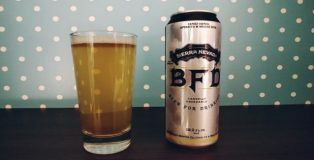 We’ve all seen the “ISO,” “Looking Out For” or “Will Trade For” posts on craft beer Facebook groups, but some choose to use some other less conventional ways to get their hands on new beers. Personally, I use Tavour when I want some really amazing beers from “sea to shining sea,” and even beyond. It may be the dead of winter in Colorado, but there’s just a special pull to wanting to enjoy a bit of sunny San Diego. 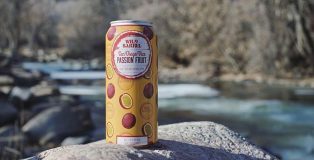 Wild Barrel Brewing Company‘s San Diego Vice (Passion Fruit, specifically) brings images of a tropical paradise with every sip. This beer is one of many in Wild Barrel’s lineup of San Diego Vices. Needless to say, having one will leave you wanting more. Lagunitas Brewing Co. is a massive brewery with a global reach. Yet, they still remain nimble enough to adapt to the changing drinking preferences of today’s craft beer consumers. From draft, to bottles, to cans, the preferred drinking vessel for many in America has changed over the past decade. Largely because beer became more intertwined with the unplanned outings and weekend activities of enthusiasts. 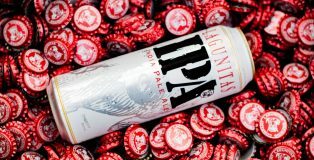 With an eye on appealing to consumers on-the-go and in the midst of day-drinking activities, Lagunitas has decided to make two drastic updates to their canning portfolio. Their bellwether Lagunitas IPA arrives in 19.2oz stovepipes and sessionable DayTime IPA comes to 12oz cans. 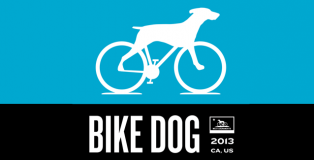 We asked Lagunitas’ Communications Director, Karen Hamilton, about the news. 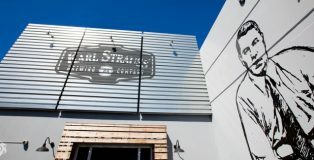 On February 2, 1989, Karl Strauss Brewing Company opened their first brewery on Columbia St. in downtown San Diego, CA. 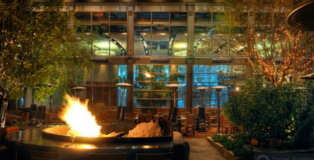 Thirty years later, they are still going strong with 10 brewpubs scattered from San Diego to Orange County and two locations in Los Angeles County. Exclusive…Brues? I love lists. 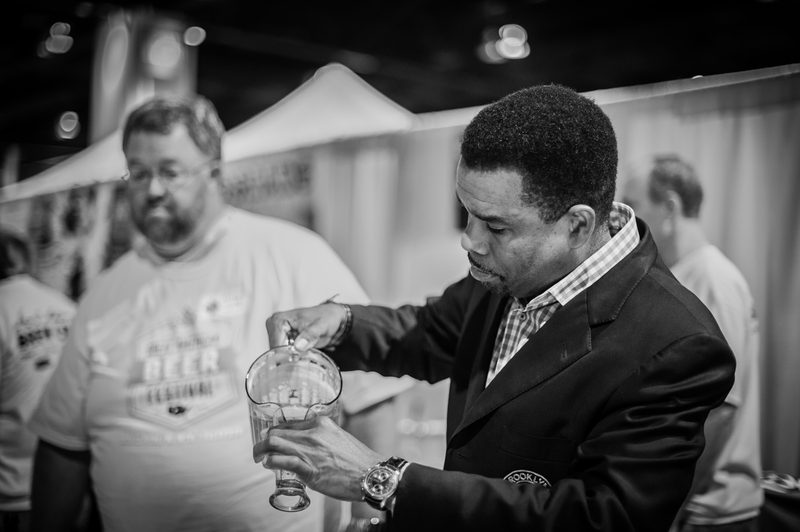 With craft beer, it has never been any different. When I first started drinking craft, The Bruery’s Black Tuesday quickly came onto my radar. With its exclusive nature, only being available once a year on the final Tuesday in October, I made it a mission to get a hold of one. 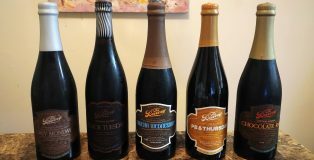 I quickly discovered that not only was there Black Tuesday, but The Bruery brewed arguably even more exclusive Stout releases for other days of the week, using Black Tuesday as the base beer and then adding different adjuncts to each other day. These other variants were available to Reserve Society Members only. Is there a better way to kick off the new year with a new brew that makes a fierce impact on the environment? Probably not! Anchor Brewing Company is doing just that. 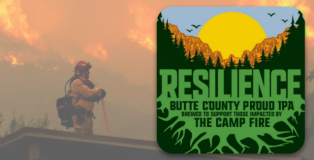 They’re proud to release Baykeeper IPA, which is made in collaboration with a local non-profit. 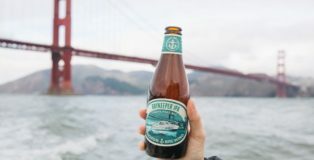 The San Francisco Baykeeper has been defending the Bay from pollution for 30 years; so, Anchor teamed up with them to create this bright and delicious IPA. I think everyone can agree that January is the worst month of the year. For the entire first week, you’re nursing your holiday hangover. The second and third weeks you spend frantically trying to catch up on all the work you avoided during December. The last week, you fully realize how long it is until you get another holiday. I guess what I’m trying to say is that good beer is what will help you get through January. We are officially in the middle of the holiday week, and it’s probably time for a nice break from all the festivities. 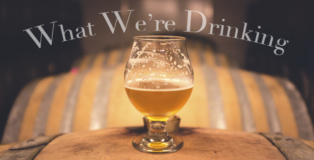 Here is what your favorite PorchDrinkers are enjoying this holiday season, it’s time for another installment of What We’re Drinking. We’re finally feeling the weather changes here in Northern California. It’s beautiful, and my favorite time of the year. Not only because of the crisp air, but because it’s now barleywine season. Don’t get me wrong, I can drink barleywine anytime of the year; however, it’s difficult to find someone to crush the strong stuff with in the middle of summer. I attended the 25th annual barleywine festival at Toronado in San Francisco a few weeks ago. 50 taps flowing, sweaty bodies crowding the bar, and the smell of future hangovers filled the room; I was in heaven. Soon I was sampling with other malt enthusiasts. A ton of great and not-so-great examples of the sweet stuff were tried, but one was particularly delightful. 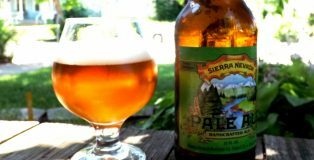 As the craft beer industry continues to evolve and become more complex, Sierra Nevada switched gears and brewed an ale for a different beer lover. For the consumer who’s no connoisseur or who may not even care what the hell a hop even is, there’s Beer for Drinking. It’s not barrel-aged, dry-hopped or infused. It’s beer. Plain and simple. And for many, that’s all they need. Friends, I was lucky: I never went through a crappy beer phase. When I reached the legal drinking age in the early 2000s, I drank a lot of really bad wine instead, believing myself to be refined. 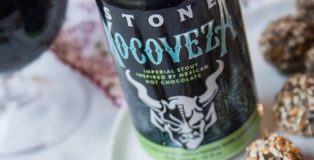 When I finally loosened up and decided to give beer a fair chance, a friend who worked at a liquor store pushed me straight past the macro shelves toward the craft beer section. 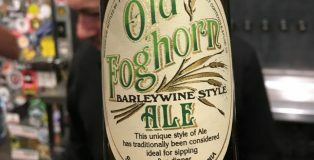 I found the variety confusing (if I thought that during the first George W. Bush term, I can only imagine what it’s like for a newcomer today) so I asked him what he drank. Summertime in Sacramento is hot. 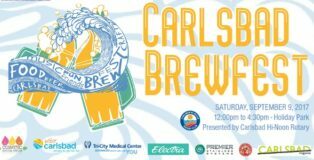 This coming weekend, it’s going to be triple digits and everywhere from the industrial park of West Sacramento, through the highway 50 corridor, up into the foothills, beer lovers will be flocking to their favorite brewery to find some shade and enjoy a brew or two. If you find yourself at Bike Dog, you may notice a new subset of the ever-loved IPA, their Nameless Brut. 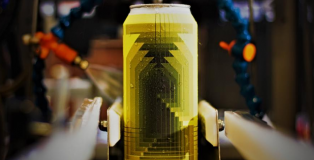 Compared to the loud, bold and anything but subtle juicy IPA’s that have been all the rage for the past couple of years, the Extra Brut IPA is a super dry, clean-cut IPA that is crisp, clear and offers the perfect blank canvas to feature the almighty hop. There was one week in Denver where I saw the weather go from 75 degrees and almost too sunny to 35 degrees and white-out snowing the following day. So, when I finally arrived home after a day of being surrounded by drivers without their headlights on, I needed a beer. I am very much a seasonal drinker. Nothing sounds worse to me than a light beer during the colder months or a thick, dark beer during the hotter months. 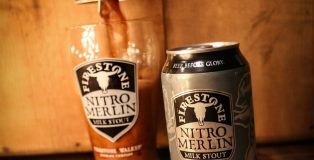 Therefore, I was extremely thankful that I had a Firestone Walker Nitro Merlin Milk Stout in my fridge. The recipe for each Alaskan Brewing beer is simple: Use authentic, regional ingredients; add creative ingenuity and throw in a dash of brewing history. 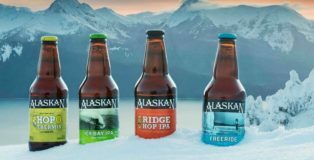 Since 1986, Alaskan Brewing has enthusiastically embraced its Last Frontier location while simultaneously playing the role of craft beer pioneer. 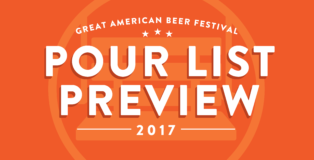 As the 2017 Great American Beer Festival approaches, I bet you’re wondering what kind of delights you can expect to sample on the festival. A hazy IPA from that Vermont brewery that doesn’t distribute in your state? A rare whale stout aged in the most fantastic of barrels? A wild, enamel-stripping sour ale full of hand-picked snozberries? PorchDrinking has you covered!